For over a decade, Ryan has been working with students at all levels, from teaching science to kindergarteners, SAT prep to high schoolers, and ESL to international graduate students. Now he is excited to be passing on to his students the knowledge and strategies that helped him achieve a 167Q/170V on the GRE. 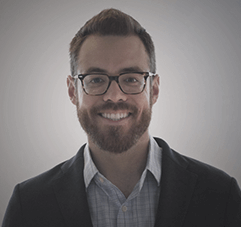 Ryan majored in psychology at Johns Hopkins University and currently works as a data analyst in the neuropsychiatry department at the University of Pennsylvania. His research focuses on fMRI in populations ranging from patients with schizophrenia to those who have undergone weight-loss surgery. His passion for teaching, however, keeps drawing him back to the classroom, and he is looking forward to working in education once again. When he’s not teaching or looking at brains, Ryan can often be found indulging his Philadelphia sports addiction, usually in the upper levels of the 3rd base side of Citizens Bank Park. He is also an avid theater-goer, bicycle commuter, food truck connoisseur, board game competitor, and collector of unusual hobbies.